Managed $1MM marketing budget, web strategy, and launched over 30 new products. 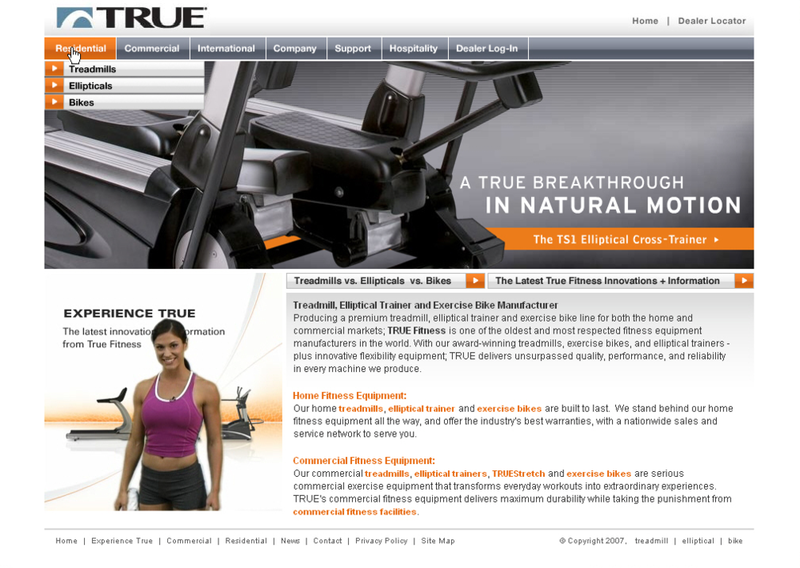 Inventor of mix3™ workout brand helping to drive TSX elliptical sales 40% above FY07 plan. Sourced badging materials for treadmills, ellipticals, and bikes still used ten years later. Product manager for new True Stretch Golf application. Sourced magnetic material to withstand UV and still maintain high-quality printed instructions on a placard. Developed outdoor cover with custom logo printing. Championed floor planner, LED displays, and asset management system for 350+ independent dealers.